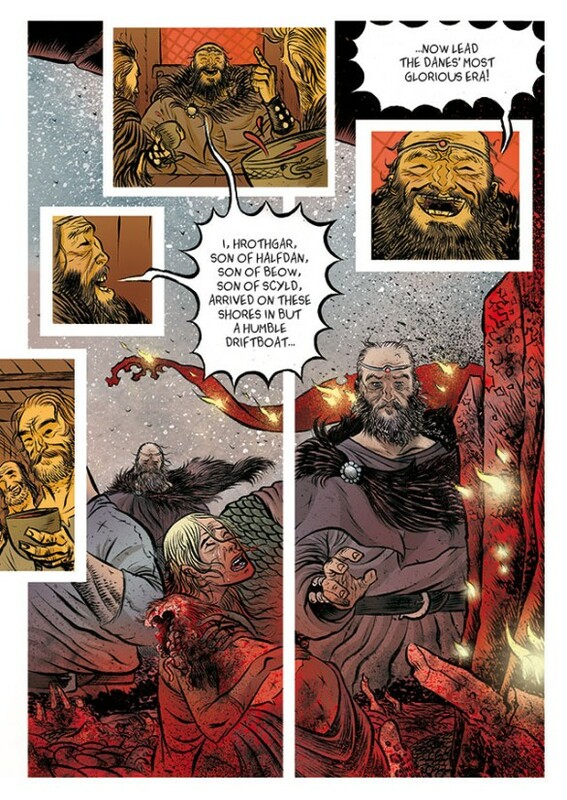 SANTIAGO GARCÍA and DAVID RUBÍN unite to bring forward the myth of Beowulf, which has endured for a thousand years and inspired an epic poem of the same name, became a foundational piece of English literature, and inspired generations of authors, from Tolkien to a good number of Hollywood screenwriters. BEOWULF tells of the tale of a Scandinavian hero in lands that would become what is now Denmark and Sweden: A monster, Grendel, has arrived in the kingdom of the Danes, devouring its men and women for 12 years until Beowulf arrives to save them. GARCÍA and RUBÍN faithfully follow the original story for a new version that is neither revisionist nor postmodern, but captures the tone and important details of the poem, translating its potent, epic resonance and melancholy into a contemporary comic that isn’t standard swords and sorcery or heroic fantasy fare, but rather an ancient story with a modern perspective that remains respectful of the source material.